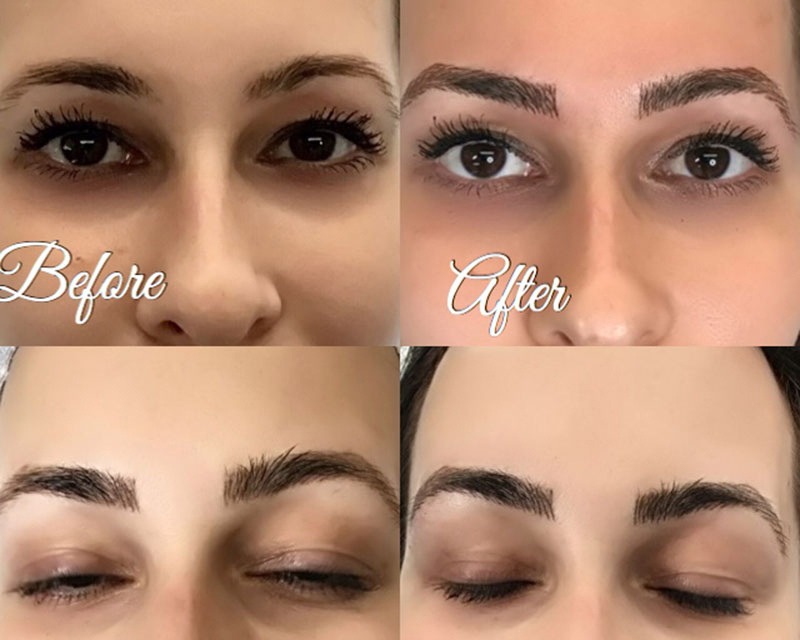 Permanent makeup treatments are designed to replicate traditionally applied makeup and are mainly used to enhance the eyebrows by recreating the brows strand by strand to match skin tone and color pigment. 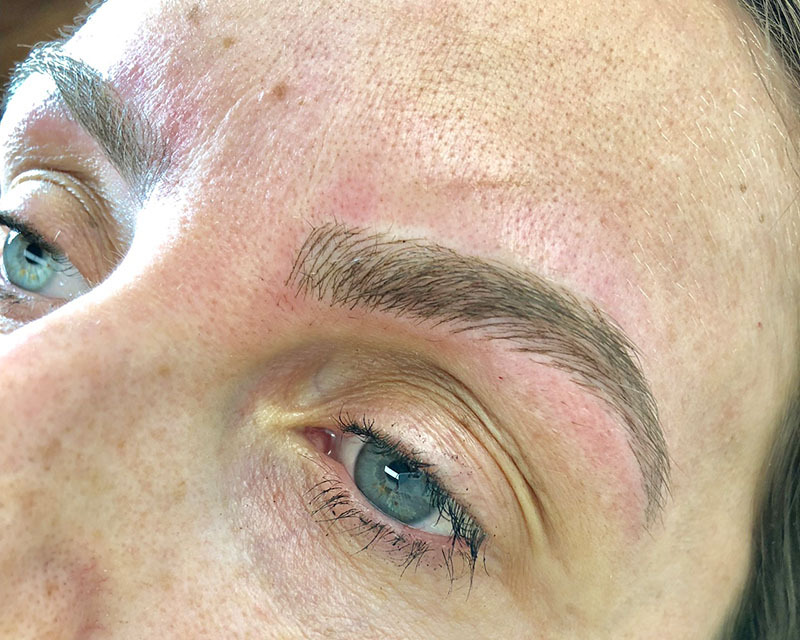 Brow hair grade and color is analyzed and a desired shape is created with a specialized pencil. 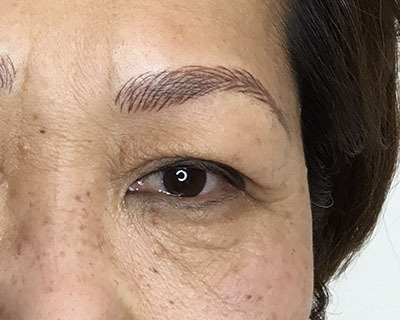 Then with the technique of Microblading, natural-looking brows are custom-created according to one’s bone structure, resulting in perfectly shaped and balanced brows without the need for pencils and fillers. 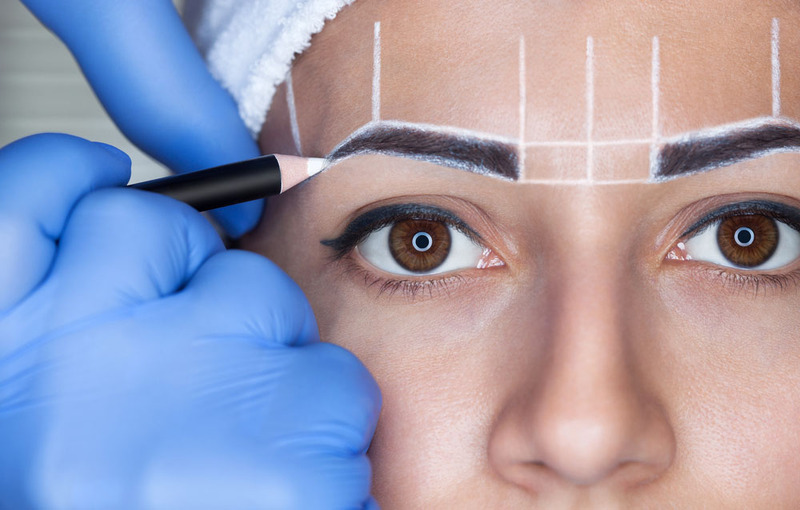 This procedure may last up to two years and may require occasional touch-up sessions. 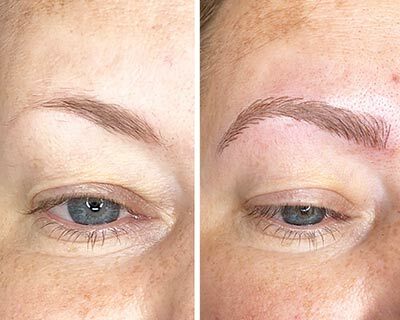 Clients who suffer from Alopecia can have their eyebrows and bald spots restored through Microblading-Microstroking enhancement, a technique that provides the appearance of natural hair using fine deposits of cosmetic tattoo pigments. 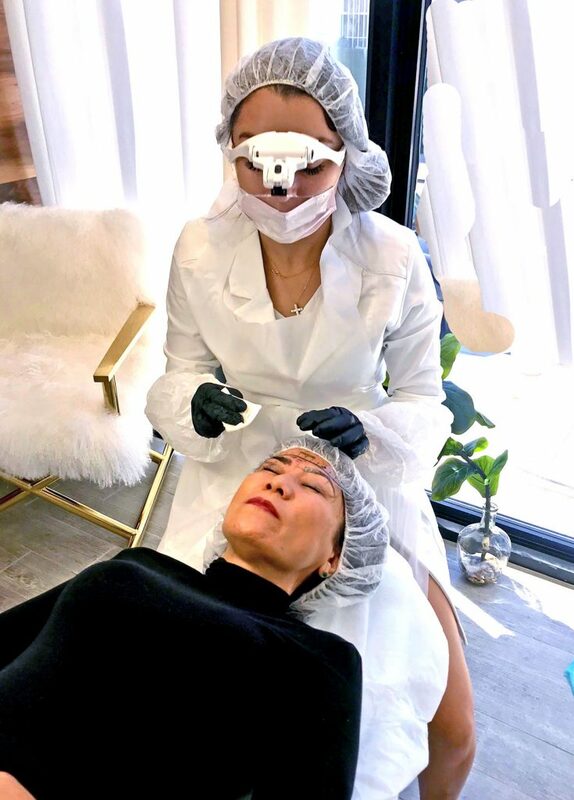 This process is performed by manually depositing pigment superficially in the upper region of the dermis with the use of a specialized hand tool. The tool has attached needles fused together in a linear grouping, and does not rely on any machines. 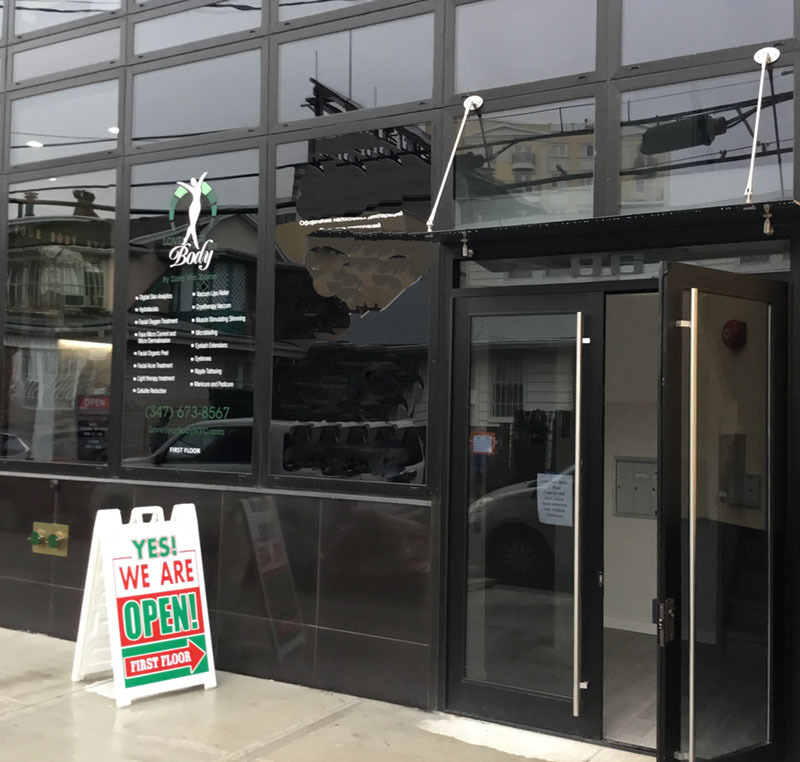 It involves drawing individual, crisp hair strokes that have a very realistic quality, and may be used to fill in bald spots on the scalp as well. 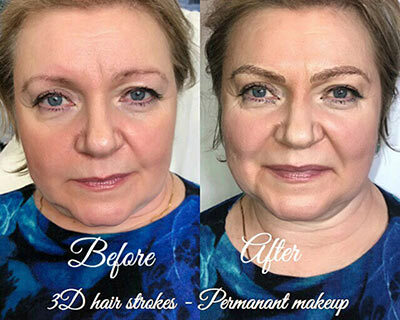 With this skin type, pigment may change shades, and after healing is complete, strokes lose their original definition and can hardly be seen. 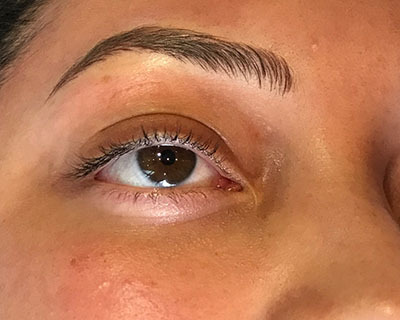 Microblading should not be performed on people who have oily skin. 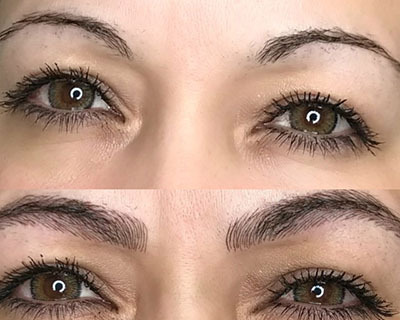 In addition to pigment migrating, this procedure may leave visible marks because this skin type is a contraindication for this procedure. Also, oily skin tends to regenerate more quickly than other skin types which will cause fading.